Short Girls Must Read: Are you Really a Petite Size? Home Must Know Should you Wear Petite Size? In Petite Dressing boutique, I often get questions from customers wondering if they should wear petite size. This sounds like a straightforward question, but the answer is more complicated than yes or no. Before I explain further, the first thing I want to clarify is that petite size is based on height and not weight. There is a common misconception that petite means skinny, thus petite sizes are made for women who are slender. In fact, petite or not has nothing to do with your weight. 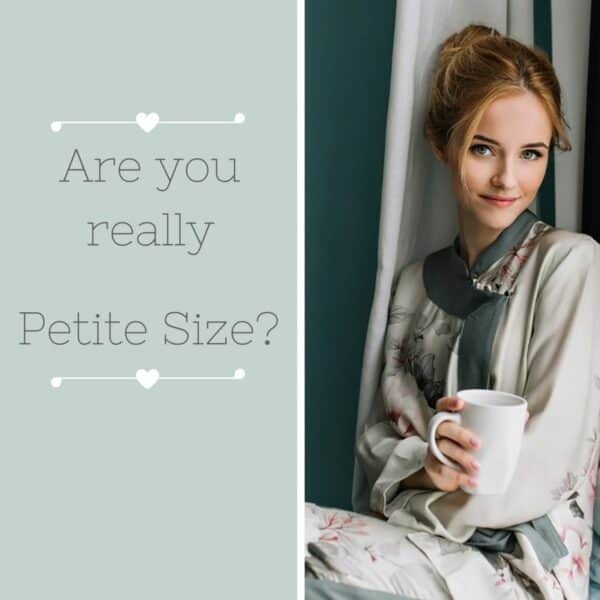 Petite size in fashion and clothing is referring to the special size for women under 5’4” or 5’3”. The reason American designers make petite size is because regular size is tailored for women of 5’5” and above, thus they will not fit shorter women well. That means petite women could come in all kinds of shapes and sizes, and you can totally be petite and curvy. If you are short and you wear plus size, you should consider wearing petite plus sizes which are made for plus size girls under 5’4″. Petite plus girls, like other petite size women, share the common body features which I will talk about later, and the best bet to find their clothing from designers who carry petite plus specifically tailored to suit the needs of curvier petite women. Petite plus could go up to 18P by some designers, and they have taken into consideration shoulder width, sleeve length and inseam needs of petite women just as other petite size clothing. Kim Kardashian is a good example of petite girls on the curvy side. Now, of course you know how tall you are. Does that mean you automatically fall into the petite size category if you are under 5’4″ and you should only wear regular size if you are over 5’4″? The world is not black and white like that. Yes, height is the primary factor when it comes to petite size vs regular size, but it is far from the perfect determining factor. Human bodies have so many variations, and that is what makes it complicated. So, today, let me first explain to you how petite sizing works, then let’s look at if you fall into some of the special categories. First of all, many petite women have narrower shoulders. So, petite designers would adjust shoulder width when they make petite sizes. This is especially important for garments with structured shoulders like jackets and coats. A well-made petite outerwear tailors the shoulders to fit measurements of petite women. For example, the Charlotte London blazers in Petite Dressing store were adjusted to the measurements of petite model (in this case Charlotte herself, who is 5’3″). Secondly, petite women tend to have shorter arms, thus sleeve length of petite size should adjust accordingly. Sleeves might be one of the most overlooked details of your outfit. Again, this is more important to petite blazers and coats than other clothing. The wrong sleeve length could instantly sabotage the quality of your outfit, especially in work or formal social occasions. For petite women, if the sleeves are too long, it will look like the jacket or coat is not the right size for you, even if it fits perfectly elsewhere. Thirdly, most petite women have shorter torso. This affects different types of clothing from blouses to blazers and dresses. For instance, a regular size blouse may look like drop-waisted on a petite woman, if the sizing is not adjusted accordingly. Fourthly, the most obvious one, petite women most likely have shorter legs. Therefore, petite size bottoms such as petite pants and petite jeans need to adjust the inseam in order to fit correctly. Besides the bottoms, petite jumpsuits also take into consideration of your leg length and are made to fit your height. What does inseam mean? Inseam is the length of the inner leg, from the top of the thigh to the ankle. Additionally, the knee cap for petite size pants or jeans should also be different from regular size. It is easy for tailors to take in the hem of the pants, but difficult or impossible to change the knee cap. Now you understand how petite size clothing is different from regular size, you know what to expect when you get a petite size vs regular size. I mentioned earlier even though height is critical, we cannot simply say that women above 5’4″ should only wear regular clothing. Here is some of the examples. If you are over 5'4" but have short legs. Chances are some women may be around or over 5’4” but their legs are short, so they should consider petite size pants. Standard inseam for regular size pants are typically 32″ and above ( I can only say “typical” because this varies by brands and pant style). If you are 5’5″, but your vertical body type is long torso and short legs, then it’s possible petite size pants fit you better. (Some petite brands make 30″ inseam). You are not under 5’4″, but you are short-waisted? You may find regular size fitted tops make you look like a kid wearing mom’s clothes. In that case, you may find petite size tops fit you perfectly since they are adjusted for shorter torso. Are you over 5’4″ but most of your weight and height is below the waist? In other words, do you have the long legs and big bum body shape? Try petite size tops and blazers, and you may be surprised how much better they fit you better. Now, let’s look at other side of the equation. If you are under 5’4″, does that mean you should always wear petite size? In most cases, I would say yes, you should start with trying petite size at least. You are much better off with clothes designed to fit the proportions of shorter women. If you are used to buying regular size clothing and take them to the tailors, that could cost a lot of money in the long run. More importantly, certain aspects of the clothing is very hard to alter. For instance, changing the shoulders of a jacket or waistline of a dress is so complicated, you are better off not to do so. On the other hand, since everyone’s body type is so different, it is also possible that certain shapes may not fit well in petite size. 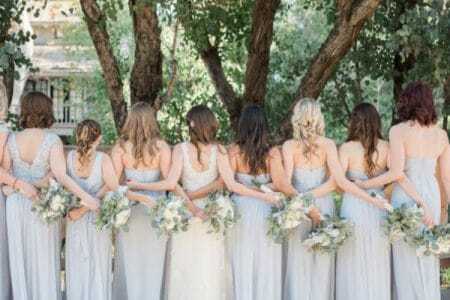 One of my friends (and she was also one of my bridesmaids) is like this. She is 5’3″, with a very skinny body frame, and her broad shoulders are very noticeable. For her, jackets from petite department may not fit very well because of her shoulder width. However, if she gets a regular size jacket, most likely the sleeves are too long for her. Her best bet is to go with a jacket or blouse of 3/4 sleeves from the regular size department. If you happen to have long arms, you may find the sleeves for petite size tops and blazers too short. In that case, try some items from the regular size department and they may fit you better. Having long torso could mean that petite size tops are too short for you. On the other hand, if you go with a regular size top, you may find sleeves too long or shoulders too wide. So, what size is better for you really depends on the particular item you are looking at. The only way for you to know is to try and compare. If this is you, you should consider yourself very lucky! Most petite women wish their legs were longer! That said, I have heard from customers who told me they are frustrated to find the right pants because of their long legs. If you go with petite size pants, you may find most of the inseam is not long enough for you. On the other hand, regular size pants may work in terms of inseam length, but they may have a longer rise than you need. In fact, it is quite common for a woman to have a combination of body treats, i.e. someone could be petite for the bottom half of her body but not the top half, or vice versa. Therefore, the most important part you still need to look at is your body treats such as the length of limbs, the width of shoulders and the length of the torso. If you are around 5’3”, it is advisable to try on both petite and regular size, and compare the fit and how they make you feel. That may sound like too much hassle, but that is the best way to find that perfect fit. You might be surprised about your findings and it is possible you might have been wearing the wrong size over the years. Pay attention to the definition of petite sizing by each retailer/designer, as some of them define what is petite as under 5’4” while others define it as under 5’3”. It may sound like a slight difference, but that could affect their petite sizing. Most brands follow standard sizing chart, but each petite brand may have some differences in their tailoring. Here we have compared the most popular petite designers/stores and their definition of petite height. If you are under 5 feet tall, then you may find even the petite sizes would not fit you. Why? Because petite designers make their clothing according to the measurements of petite models who are 5’4″ or 5’3″ tall. In other words, someone who is 4’11” is 5 inches shorter than the model for which the petite clothes is made, then how can you expect that to fit well? 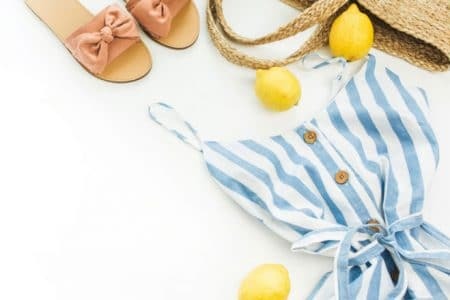 If you are indeed a petite size woman, you probably have experienced the difficulty and frustration looking for the right sizes in regular department stores or shopping malls, so many of us may have shopped in the junior department at some point. While that seems to be an easy solution, we do not recommend you to do so often. In fact, one of the important styling principals for short girls is to avoid too much “cuteness”. The complaints of many short girls is they are not taken seriously at work place, because of their height. In order to appear to be the equivalent of tall girls, our goal should be to add presence and authority through our styling. Shopping in junior department will only do the opposite. The designs for juniors are catered for teenagers, and they are not meant to be worn by professional adult women. Except for sweat pants and other causal clothing you will only wear at home or for workout, we suggest you to stop shopping at junior department and look for stores with petite sizes instead. 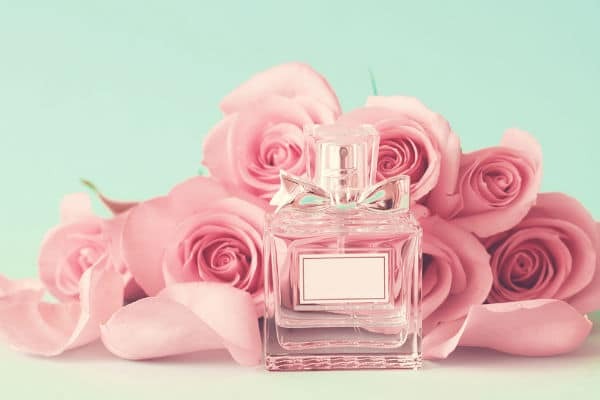 Understanding What is Petite is just the first step. To flatter the petite body, read How to Look Taller and 6 Things to Avoid if you have Short Legs.